The goal is to be as fully human as we possibly can be…. when we are in touch with our personal power, we are in touch with our Divinity. Virginia Satir (1916-1988) was one of the major pioneers in family therapy and my teacher. She was warm, brilliant and knowing about the pain of being human. She taught concepts that pulled us out of the dysfunction of our families into a higher consciousness way of thinking and acting. She took the mental health field out of seeing people with problems as “pathology” generated by the psychiatric network of Freud into seeing people as a product of their negative family scripts which could be changed by learning to communicate with feelings. Virginia traveled the world over with her teachings, which were insightful and inspired, about how to become a fully functioning human being centered in love. She attracted a following of therapists, business people, leaders and regular folks who then spread her ideas through their own work and life. Virginia Satir changed my life completely. Before meeting her, I was narrow minded, neurotic and physically ill. My family rules were like others at the time-don’t talk about feelings and important things and deny what people in the family do to hurt each other. During a weekend workshop, she chose our table (from about 25 others) to sit during lunch. She invited me to study with her at her month long summer training program and gave me a loan for the tuition. During her first month long training, I learned so much that I left behind the fear-laden woman that I had been and became a deeper, wiser version of myself. At one point she said to me, “Lynne, when you can feel what you feel and say what you feel, you won’t have to turn those bad symptoms into body symptoms and pain.” At that moment I learned to feel my feelings. Perhaps that is why I write so passionately about getting in touch with your feelings today. After taking Virginia’s second month training a few years later, I decided her ideas needed to be more widespread. 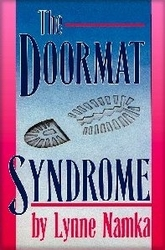 I incorporated many of her concepts and techniques regarding straight communication in my first book, The Doormat Syndrome. Virginia helped us learn to have authentic communication. She taught techniques that helped us to be congruent which is a way of acting where what is being felt on the inside is expressed on the outside. When you are congruent, you are aware of what you are feelings and thoughts. Your body language expresses on the outside expresses what you are feeling on the inside. You state feelings and stay honest and centered as you deal with conflict. I am who I am today, partly because of the energetic woman who recognized the Divinity within me. I can still hear her voice saying, “Marvelous, marvelous!” I am forever grateful to Virginia Satir and the effect she had my psyche and subsequently on my life. So I pass some of her wisdom via her quotes on to you. Check assumptions rather than acting on what you believe to be true. Check with others to see what they really mean. Be straight forward and direct when communicating with others. Listen to that “Wisdom Box” that you have within you when you seek the truth. Say what you mean and mean what you say. Ask for what you want but know you will not always get it. I can remember when I asked her, “Virginia, do you mean you can really ask for what you want? (Not in my family, you couldn’t!) She slapped her knee and said, “Honey, you can always ask for what you want! Be responsible for what you think, say and do rather than projecting it on others or denying it. Treat people with how you would wish them to be rather than blaming them. Identify your “shoulds” or those beliefs that you have grown up with that keep you caught in craziness that are not necessarily true. Be open to receiving feedback and listen to it carefully because you might learn something about yourself from it. Be gentle and loving with yourself and others. Then we can truly meet each other. “The greatest gift I can give is to see, hear, understand and to touch another person. The FREEDOM to take risks in your own behalf, instead of choosing to be only “secure” and not rocking the boat. “In all the world, there is no one else exactly like me. There are persons who have some parts like me, but no one adds up exactly like me. I have some parts like others but I don’t add up to be exactly like anyone else. Therefore, everything that comes out of me is authentically mine because I alone chose it. I own everything about me — my body, including everything it does; my mind, including all its thoughts and ideas; my eyes, including the image of all my eyes behold; my feelings, whatever they may be — anger, joy, frustration, love, disappointment, excitement; my mouth and all that comes out of it…. words, polite, sweet, or rough…. correct and incorrect; my voice, loud or soft; and all my actions, whether they be to others or myself. I own all my triumphs and successes, all my failures and mistakes. I own all my fantasies, my dreams, my hopes, my fears. Because I own all of me, I can become intimately acquainted with me. Being very well acquainted with me, I can love me and be friendly with me in all my parts. In being well-acquainted with myself, loving myself, and being friendly with myself, I can then make it possible for all of me to work in my best interests. I know that there are aspects about myself I do not know, and there are parts of me that puzzle me. As long as I am friendly and loving to myself, I can courageously and hopefully look for the solution to the puzzles and continually look for ways to find out more about me — how I look and sound, what I say and do, and how I think and feel. No one else looks and sounds, says and does, and thinks and feels exactly like me. However I look and sound, whatever I say and do, and whatever I think and feel at a given moment is me. It is authentic and represents where I am at that moment in time. When I review later how I looked and sounded, what I said and did, and how I thought and felt, parts may turn out to be unfitting and I can discard that which is unfitting and keep that which proved fitting and learn something new for that which I discarded. I can learn all the new things that I need and discard all the things that no longer fit. I can see, hear, feel, think, say, and do. I will then have the tools to survive, to be close to others, to be productive, and to make sense and order out of the world of people and things outside of me.